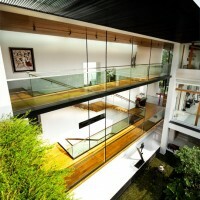 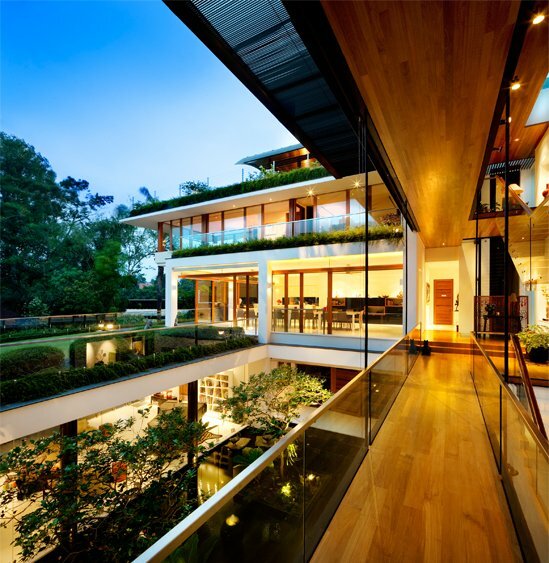 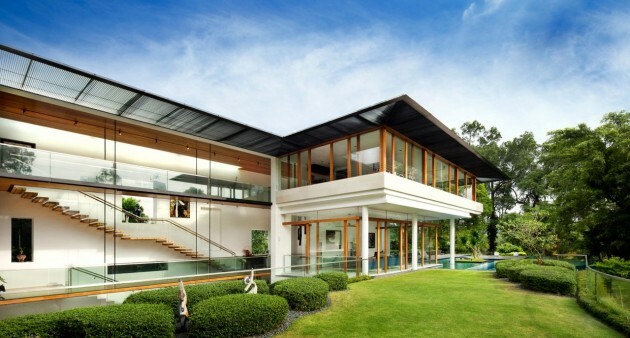 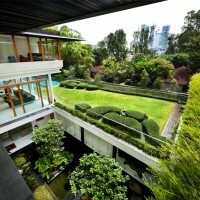 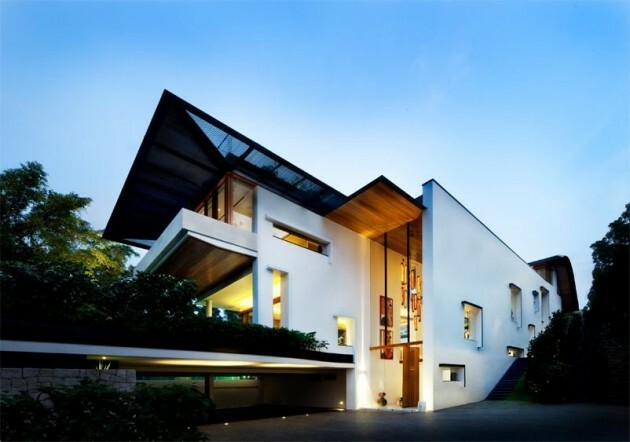 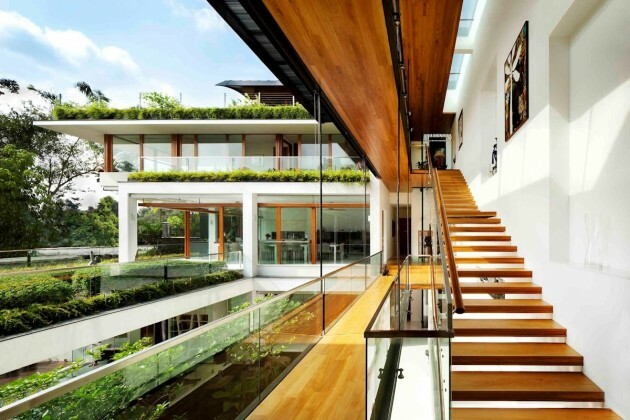 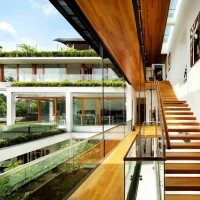 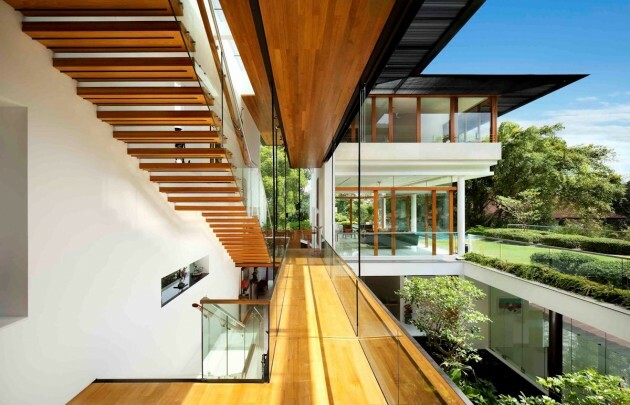 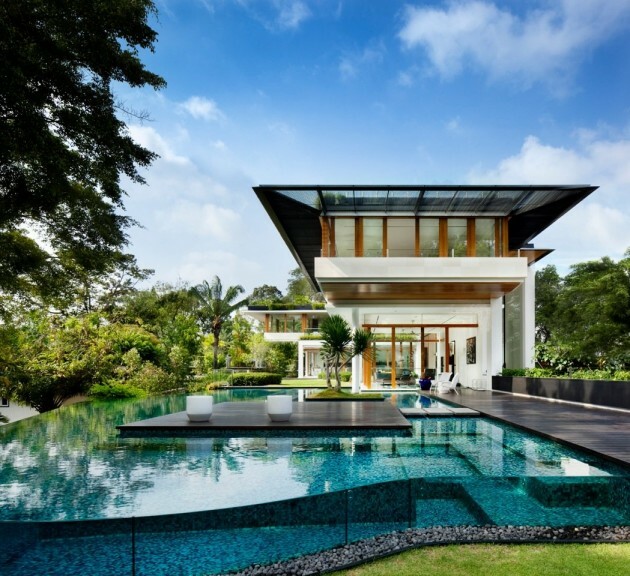 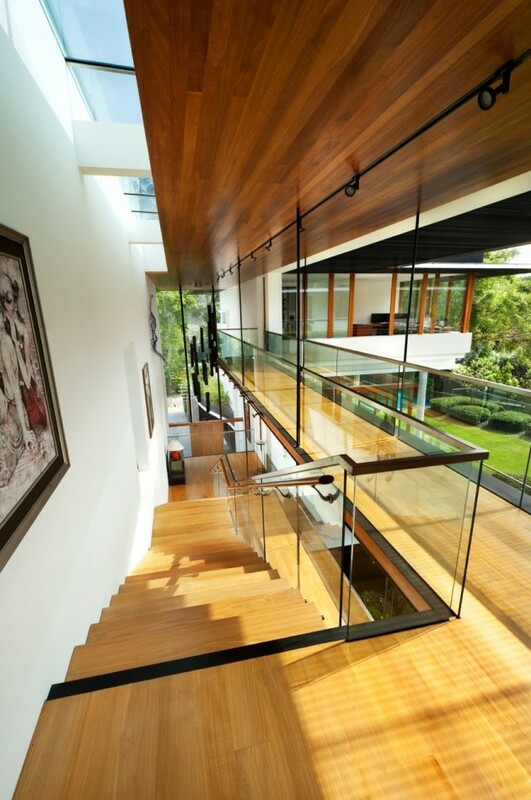 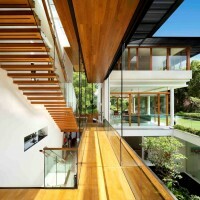 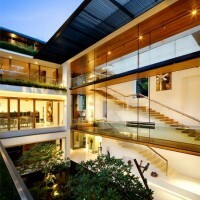 Guz Architects have designed the Dalvey House for a family in Singapore. 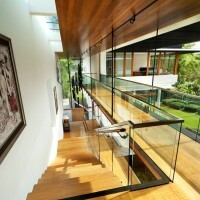 Dalvey was conceived in answer to the owners request for an extended family house accommodating generations. 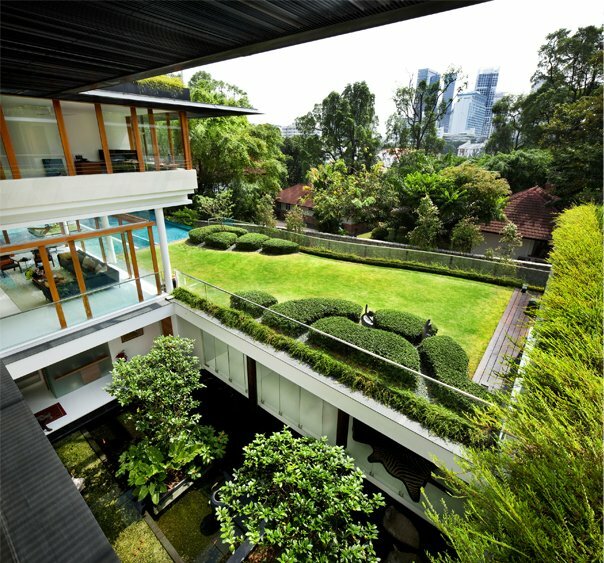 The triangular steeply sloping site provided many challenges but also allowed us as architects to stratify the generations and break up the overall mass of house by introducing roof gardens and courtyards. 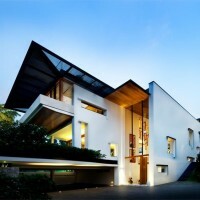 The house was designed with tropical living in mind with passive cooling techniques used extensively.